« Happiness Project Recipe #60: Anniversary Cookie Bars & Snickerdoodle Frosting Dip! 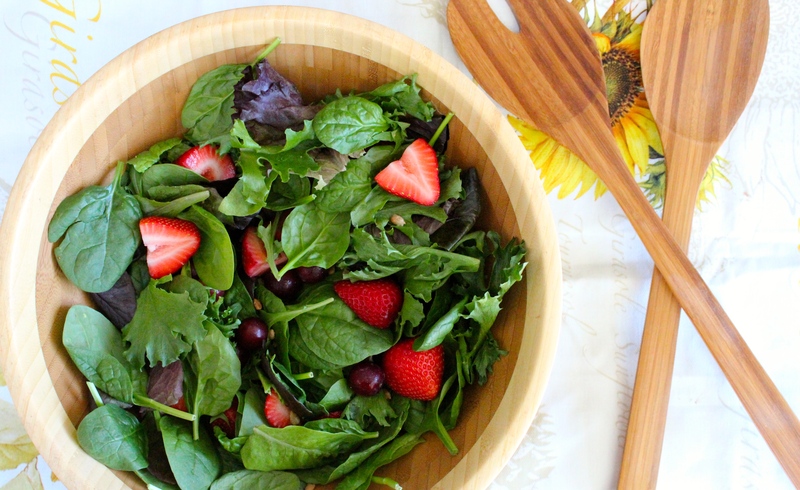 Something about spinach and strawberries in salad is just a match made in heaven! I can’t wait until strawberries are fresh here. We have several weeks to go still. I love adding fruit into my salads. Believe it or not, my kids actually love salad and they would devour this! My favorite summer salad has got to be the old classic caprese, especially with tomatoes from our garden.